Heather was patient, punctual and really creative. We are very happy with the results! 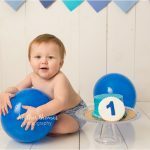 I had Heather do my son's first birthday photoshoot with a cake smash, and it was absolutely wonderful! Communication before, during, and after the photoshoot was easy and thorough. 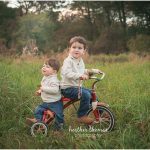 Heather put in a lot of thought and detail into my son's photos and considered everything I had said I wanted out of the shoot. She worked with all of my ideas and had so many of her own. The scenery she provided was more than I could have imagined! It was all perfect. I would highly recommend Heather for any photography needs and will definitely be using her for our next family photoshoot! Thank you so much Heather for perfectly capturing Paxton's first birthday as a 'Wild One' - you truly gave us stunning photos!!! Great photographer, wonderful person. Our photos are perfect and I'm very pleased with the experience- as usual!! It takes a very special talent to take beautiful newborn photos! Heather has that talent! She was very professional, kind, and incredibly patient with our newborn. We had such a great experience at the shoot and couldn’t be happier with our photos! Heather was a DREAM to work with! My fiance and I needed engagement pictures fast, and we did not have high expectations - BUT we were just so grateful and blown away by the gift of Heather. She really just landed in our lap, and we could not have asked for a better photographer. The whole experience we felt comfortable enough to be ourselves, and that totally came across in our photos, which I love. We are so pleased with the way they turned out! Would definitely recommend Heather to anyone, and when Alex and I have a family in a couple of years, we will definitely have Heather take any pictures we want of our family! Highly recommend Heather Thomas Photography! 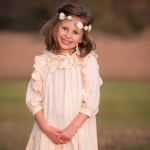 She has captured our family photos over the past few years and then our son's first communion this year. She never disappoints! Beautiful pictures every time! Heather is amazing!!!! She is able to capture our family perfectly, which is hard to do with 2 young boys and a crazy dog! She is wonderful to work with and makes the whole experience so easy and fun! Highly recommend! Love everything as usual. You really take the stress out of capturing these milestones. I don’t worry about taking pictures all the time and try to be in the moment making memories. I cannot say enough positive things about working with Heather. 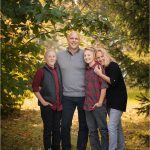 We participated in the family mini session in the fall. The session itself was very relaxed and fun. The pictures turned out beautiful. 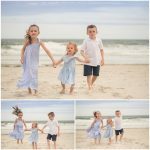 The individual shots of the kids absolutely captured their personalities. The family shots were also great. The hardest part for me is always trying to figure out what pictures/proofs to print/buy or frame. I really enjoyed how Heather sat with me to help me narrow down my choices. I look forward to working with her again! It had been a while since we had a family portrait taken and we lucked out picking Heather! She was beyond easy to work with...she listened and delivered exactly what we were looking for and without a lot of fuss. Very laid back and user-friendly even my teenage boys enjoyed the shoot. 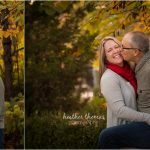 Heather was not pretentious and understood our desire for natural smiles and poses she took the time to get to know us beforehand and made it a truly enjoyable experience. The photographs turned out beautifully with some of the best lightings I've ever seen. A bonus is that all of her shoot locations are not only scenic but easily accessible. We received many compliments and questions as to who we used and look forward to working with her again in the future! 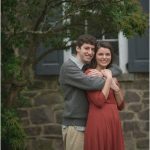 I was blown away by the quality of our shoot! 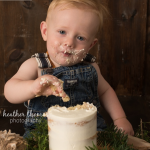 Heather did a wonderful "cake smash" session for our son's 1st birthday and I could not be happier with the memories. Heather is easy to work with and gives great pre-shoot advice (clothing ideas, bring cheerios to put in the cake :). The shoot was laid back and just as much fun as the photos that resulted. 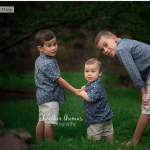 I look forward to doing a family photo session soon and would highly recommend Heather Thomas Photography to anyone!d. Heather was an absolutely amazing photographer. I highly recommend her if you want awesome pictures and a great experience. She was so pleasant to work with. 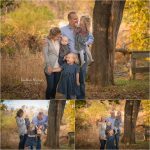 She got a ton of extremely cute family photos all in under 30 minutes. My daughter is 16 months old and doesn't sit still. Not a problem for Heather. She had the photo shoot well thought out and knew how to capture my daughters attention to get those absolutely perfect shots. Everything was so easy with her and I have great photos too! Heather is a fantastic photographer! We have had the pleasure of working with her multiple times. I contacted her initially for maternity pictures and she asked for my vision of how the shoot would go, she totally made that vision a reality! We were so happy with our shoot that we immediately booked our newborn pictures with her. She was so amazing with our newborn baby, and she took the most memorable pictures of our son that we will forever cherish. 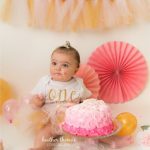 We can't wait to continue documenting our child's first year and on with her! Heather is so professional and client-driven, with her every photo shoot is extremely personal and the pictures are invaluable! Heather did a great job with our photo shoot! She came out to our home which was so great with a newborn! She was so patient and really took her time to get the best pictures. She was also so caring and great with our son. We couldn't have asked for a better experience and will definitely ask her to take more family pictures for us as our son grows! I would recommend her a thousand times over! My husband, son and I had such a wonderful experience working with Heather. Our family portraits will always be a great memory to have and we are so appreciative of her amazing work. 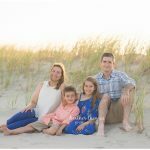 Working with Heather was one of the best decisions we made and we will definitely be using her services again to capture more family memories!. Heather did an amazing job with our newborn photos! She’s very patient and professional. She captured our little one perfectly!. Truly amazing. Year after year, she captures the true spirit of our family. Simply the best child photographer! 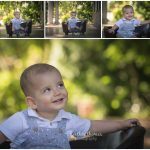 We had a wonderful time this morning having Heather capture shots of our beautiful little boy for his 1 yr cake smash pictures, and of us as a family. She was wonderfully bubbly and interactive with our very serious boy and also managed to get him to smile and show off his little dimples. Working with Heather, for our maternity photographs, was one of the best decisions my fiancé and I made for our first baby. She made our experience so positive and emotional. She captured our happiness and love for baby to come in such a perfect way for us! It will always be a great memory to have and I will definitely be using her services again for more of our precious moments to come. I appreciate having her share in some of our moments. We are so grateful for her caring effort to make everything just right and beautiful. We had newborn pictures done by Heather and have been exceedingly pleased with the whole experience. From the moment I contacted Heather, she was extremely professional and helpful. She is very great with children and was thorough in getting just the right shots. I look forward to my families future portraits which will be done by Heather. The memories she helped portray will always be cherished. I highly recommend Heather Thomas for all your photography needs. Heather's work is simply gorgeous! 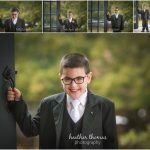 She has photographed our little guy several times and she always captures his personality and such beautiful moments. We are so happy to have such special memories hanging all over our home. Thank you, Heather! 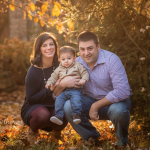 We recently had a Simply Baby Photo Session with Heather to celebrate our son turning one. 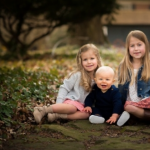 The session was focused on our son but also included some pictures with his sisters. I can't say enough how wonderful these experiences was! Heather is so helpful, from assisting in planning the outfits, working with days and times that work with my family, and even giving advice on a photo display in our home. 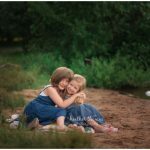 She is great with children, keeping the photo shoot relaxed and comfortable for them while also engaging in conversation and getting to know them. Her work is truly beautiful! She really knows how to capture this precious time in my children's lives. So happy we have had the opportunity to work with Heather and looking forward to future sessions!d. I had the best experience with Heather! 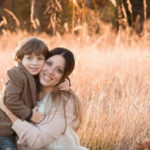 She captured so many wonderful shots in a recent photo session of me and my son. It's more than the pictures, she captures special moments! Heather has a such a keen eye for detail and on top of her professional ability, she is so genuinely kind and patient and great with kids! 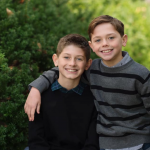 I look forward to having Heather photograph my family for many years to come!